Fashion startup Modavanti was inspired by the work of environmentally conscious designers: think silk made from sour milk, fish leather, and purses made from car upholstery. Cofounder Ariel Azoff wanted to showcase high-end, sustainable fashion and defy the stigma of eco-fashion. What’s that stigma? “That the clothes are all made with hemp and are brown,” says Azoff. “Or that you’re going to have to sacrifice on style or that the stuff just isn’t really accessible,” adds former marketing director Amanda Sperber. 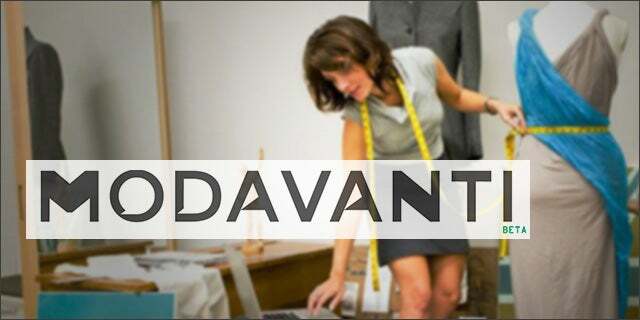 On Modavanti, which comes from the Italian for “fashion forward,” product listings include badges with their origin: organic, recycled, fair trade, energy efficient, handmade, or made in the USA. When shoppers make a purchase, 2 percent of sales revenue is donated to nonprofits Charity Water, Nest, or 19th Amendment. Azoff, who created fashion blog Heartsleeves, has noticed the rise of sustainable fashion lately. H&M has its Conscious Collection and claims to donate clothes to charities and educate Bangladeshi workers on their rights. Gucci announced shoes called Sustainable Soles for its pre-fall 2012 collection, which use biodegradable bio-plastic. And Manolo Blahnik has a new shoe made of fish skin and cork. Modavanti sprouted in Cairo, when Azoff and cofounder David Dietz both worked for human rights organizations. “We were getting a little frustrated about how hard it is to really feel like you’re making a difference,” she explains. Now, with any luck, they will be contributing to charity while making their socially conscious comrades more stylish.